Sometimes, knitting can feel like an expensive hobby, don’t you think? Between the yarn and the needles, sometimes it’s all too easy to spend more money than you’d like. This is especially true when it comes to essential tools. Because knitting often requires more than yarn and needles. It requires things like swifts. (Or someone eager to leave their arms raised while you wind yarn into a ball. Eek.) Or tools for blocking (to make your hard-working handknits look wonderful). Or, if you loom-knit, you need a loom, which can sometimes be even more expensive than needles. One way you can cut back on your knitting-related spending is by making some things you would normally buy. 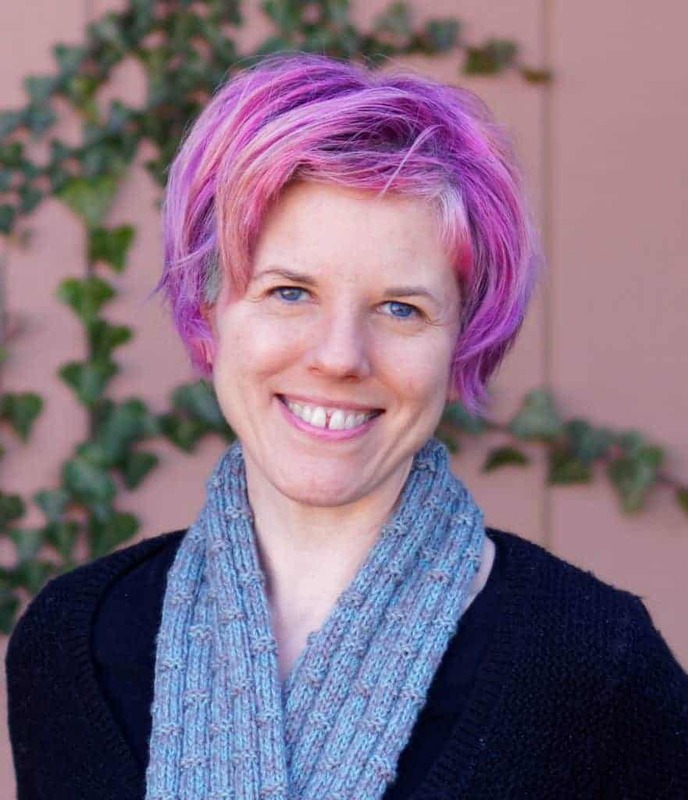 Below you’ll find a few links to knitting-related DIY projects that could help your knitting flourish. And, I’ll also offer you links to a few pages from Ravelry groups that will help you find some fun and frugal DIY projects. Creating a Round Knitting Loom: If you enjoy loom knitting and need a new size, try this terrific tutorial to create your own! 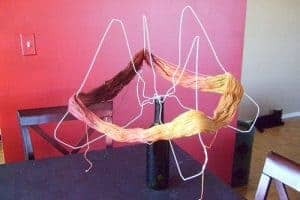 Homemade Portable Yarn Swift and DIY Yarn Swift: These two tutorials can help you create your own yarn swifts. These can be quite pricey, so these are terrific options! 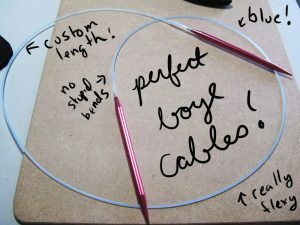 Create Your Own Boye Needlemaster Interchangeable Cables: I swear, someday I’m going to try this. In particular, if you find a set of Boye Needlemasters on sale, why not give this a whirl? This isn’t actually a DIY project, but rather a thrifty alternative: Use Foam Tiles as Blocking Mats. One word of warning: some of the links on these pages are quite old, so not all of them work. Many of them do, though, so just proceed carefully. 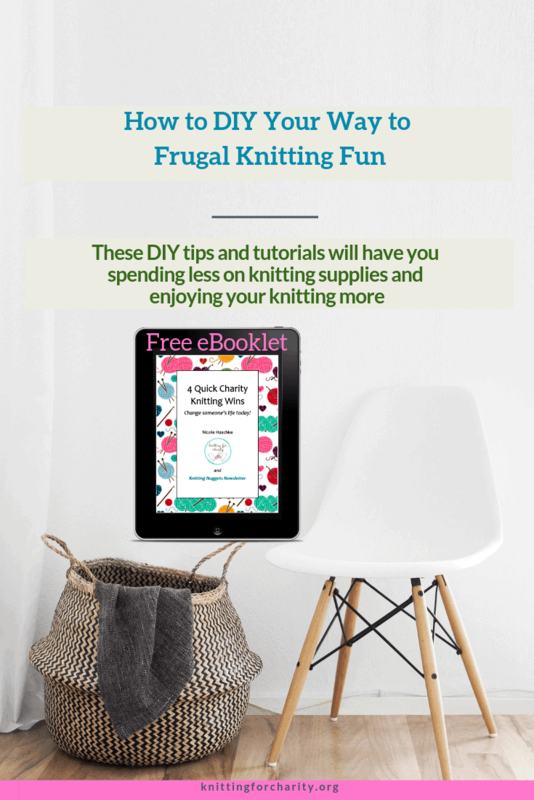 Armed with this information, you’ll be able to save a lot of money on expensive knitting tools and supplies!